November 24th, 2018 will be Small Business Saturday. Let’s celebrate the spirit of enterprise and entrepreneurship, as exemplified by small business owners who take the risk of following their dreams. Small business owners often face greater hardships than larger companies, since Small Business Saturday is held on the Saturday following Thanksgiving Day, it falls right during the peak shopping periods of the year. Support your St. Petersburg/Tampa Bay community and boost your local economy by shopping local this November 24th! 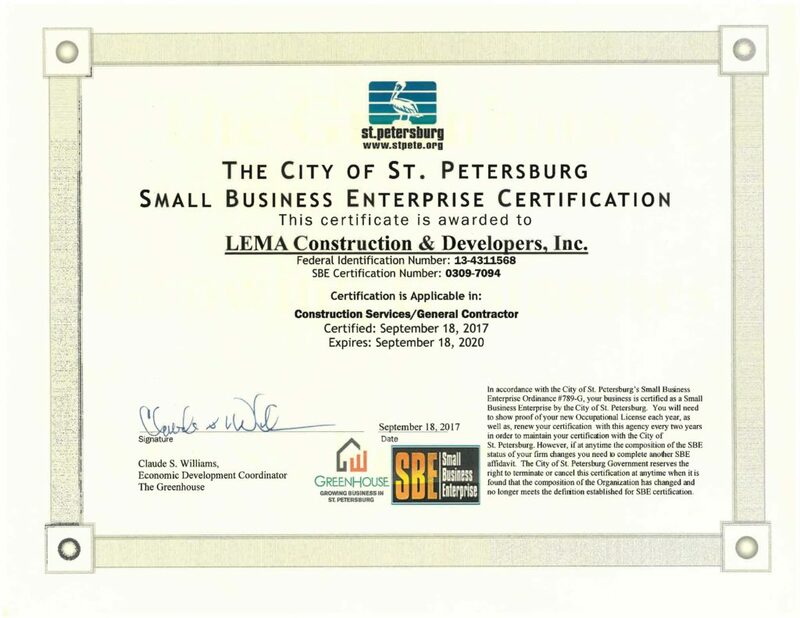 Click here for a little history on Small Business Saturday, and incase you didn’t know LEMA Construction is SBE Certified in the wonderful city of St. Petersburg!